By Peter Anderson 2 Comments - The content of this website often contains affiliate links and I may be compensated if you buy through those links (at no cost to you!). Learn more about how we make money. Last edited February 10, 2014 . The IRS estimates 1.1 million taxpayers who neglected to file a 2007 return are eligible for refunds, but that they had better act soon. 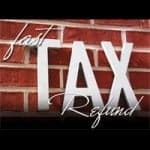 The deadline for claiming a refund for that tax year is April 18th of 2011, and you must file a return to get a refund. 1.1 million taxpayers didn't file their taxes in 2007 and the IRS believes that there are about $1.1 billion in unclaimed tax refunds from that year. They are kind enough to mention it this year because this will be the last year in which you can file your 2007 tax return. The IRS gives you three years to file a tax return and you have until April 18th of 2011, since it's the due date of your 2010 tax return, to file your 2007 tax return to see if you are due a refund. Half of those taxpayers are set to receive a refund of at least $640, which is much smaller than the average tax refund that year but still a sizable chunk of change. So for those who didn't file a good number of them are set to receive a refund, if they would only file! Did You File Taxes For That Year? So if you've determined that you may be eligible for a refund for a past year, what should you do, and how should you proceed? First, make sure if you filed a return that year or not. If you filed with an accountant or tax software like TurboTax, they'll probably have your records on file. Otherwise, you can make a call to the IRS, and ask if they can look up your tax records. Call them at 1-800-829-1040. Once you determine that you didn't file, you'll need to actually get things together and file. Keep in mind, however, if you file for one year you'll need to file for all subsequent years as well. So if you're claiming a tax refund from 2008, you'll need to file for 2009 and 2010 as well. To file get your paperwork together for those past years. Then you'll need to get the IRS tax forms for that past year so that you can file. You can go to IRS.gov to download the forms for the tax year you're filing for. Remember, tax laws change, so you can't just use a tax form from a current year. Another thing you can try is – some of the tax preparation companies will allow you to purchase copies of their software from previous years – some up to 5 years in the past. So you can download and prepare your taxes for that year using one of those software like TurboTax. If you're feeling overwhelmed, or if you have too many questions to do it all on your own, you may be better off getting some advice and filing through an accountant, who can guide you through the process. There are also services like PriorTax.com that can help to guide you through the process as well, although it won't be free. Once you've filed your return, you can check your refund status online. I have a situation similar to the one you have described regarding a 2007 refund. I filed my amended 2007 1040x on 4/18/11 due to a failure to claim an education credit. I got that date from the post linked above. I’m assuming they used that date because that was the last day to file taxes this year given that there was a government holiday pushing it back to the 18th this year. I would unfortunately say that the IRS is probably the final authority on that, but it wouldn’t hurt to call again and try to appeal or something?